Before I start this post, I would like to take a moment to thank Detective Hall. He has been more than willing to give me whatever assistance I need and trust me, that is a RARE quality. 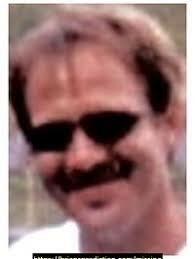 42 year old, James Harlin Boyd Jr. was last seen on August 20, 2002, at the T&C Trailer Park in Doran, Va. He had a problem with abusing certain drugs and had been known to sell as well. This lead to the local narcotics task force targeting him. One of their CI’s had actually made a buy off of James earlier in the day on August 20th. He was reported missing on August 28, 2002, by his uncle, after several days without contact. Also to be noted, he did withdraw around $30K from a 401-K that he had from when he was employed with Verizon on August 10th. This money has never been located. August 23, 2002, James’s roommate Dennis Matney was actually spotted driving James’s car. When LE approached him, he told them that James had told him that “they wouldn’t be seeing him anymore.” Going on to say that he owed a drug debt and that people were looking for him. Obviously trying to implicate that James had skipped town. He has since been uncooperative with LE. Even so, if that were the case, why leave your car? Okay, so maybe if people really are after you they’d know to look for your car, but if that were the case, why would anyone else be driving it? I’d assume that if a drug dealer is sending out people to collect a debt, the car is probably something they’re going to be looking for, and they probably aren’t gonna ask to see your ID before they ‘take care of’ you. After this point, most of the information is from the mouths of other CI’s that work with the Tazewell County Sheriff’s Office and the State Police. One of them actually suggested that their neighbor had dealings with James on occasion, and after his disappearance, somehow came into a lot of drugs and money. There have been numerous tips concerning the location of his body, but nothing ever came of them. 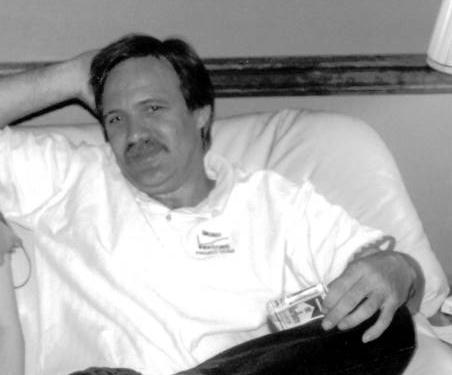 Since James vanished, his bank account and SSN have not been used, and he was legally declared dead on May 19, 2010. I think it’s pretty safe to say, someone that knew him probably had something to do with whatever happened to James. Especially considering that he had withdrawn such a large amount of money from his 401K. That is motive in and of itself, the fact there were drugs to be had was just icing on the cake to whoever did this. And whoever did it (or at the very least caused it), would have had to have been close enough to James to know either by being told or seeing with his own eyes the amount of money James had. If you have any information regarding the disappearance of James Harlin Boyd Jr, please contact the Tazewell County Sheriff’s Office at 276-988-0902.